Famous interview java question on conversions . 1.Write a Java Program to convert binary to decimal number in java without using Integer.parseInt() method. 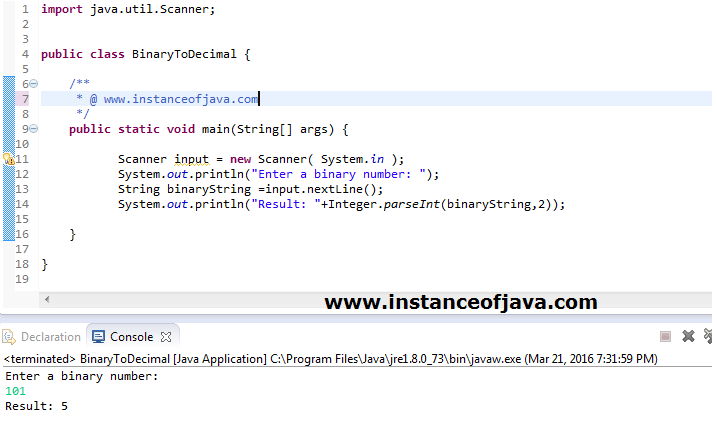 2.Write a Java Program to convert binary to decimal number in java using Integer.parseInt() method.